So how is everyone doing?? Its hard to keep up to date with everyone so I figured we could use this to keep in touch. I shall start... Im doing well. Wife is prego with our second daughter. Looking to move out near Irving area soon.. While all this is going on the alltrac is on ice once again. Hopefully will be finishing it up once I move. Thats about it for me. How about everyone else? looking to have a great year ! Doing well here alltrac is down got a whole size of a grapefruit in the block. Rebuilding a pure 1st gen 3sgte. Hmm what else, got a Turbo Mr2 and now own a small shop in North Fort Worth, nothing major . Most of my clientele are MR2 guys and they never seen or know what a alltrac is D:. James, where ar eyou moving to? trah wrote: Doing well here alltrac is down got a whole size of a grapefruit in the block. Rebuilding a pure 1st gen 3sgte. Hmm what else, got a Turbo Mr2 and now own a small shop in North Fort Worth, nothing major . Most of my clientele are MR2 guys and they never seen or know what a alltrac is D:. Which shop do you own? toayoztan wrote: James, where ar eyou moving to? Not far. I currently live about 45min north west of down town Fort Worth. The new job is in Irving so most likely around the Keller/Hurst ish area. I have to sale the other house first which is taking way too long. As for my update. My second daughter Adlei will be born on the 31st so busy getting ready for her. 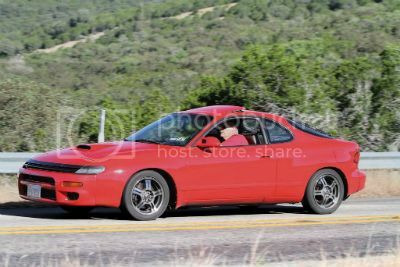 GTO runs like a dream but had to put mufflers back on due to the long drive. Alltrac hasnt changed much... Needs about one full weekend of my attention to finish all the little things here and there. One day as always. Awesome! I worked at a Compass bank off that exit some years back. I will have to take you up on that offer as soon as I get some free time. Cool, I'll pm you my phone number. I'm Tra by the way. Well D1alltrac has sold... ONe less Texas member..
Hey James. Doing OK here in San Antonio. Keri just helped me get my account reactivated. Some how it had gotten deactivated and I hadn't been able to log in for a while. Anyway, things are going OK here. Did a little work to the All Trac last week during the plant shutdown. Replaced the park brake shoes and the cam cover gasket. Also put the blowoff valve back on. The car runs great. I'm in the process now of getting the parts together to do the Gen 3 electronics swap. I've got the ECU coming and will get the conversion harness coming tonight. Still have to pick up the MAP and the ignitor. Hopefully have the parts gathered in a few months. Congrats on the 2nd child! Nitro_Alltrac wrote: Hey James. Doing OK here in San Antonio. Keri just helped me get my account reactivated. Some how it had gotten deactivated and I hadn't been able to log in for a while. Thanks, Nice to see you back on. It seems most of us have our tracs up and running or ver close atleast. Hell must have frozen. Sweet. We drop one member and add another back on. Speaking of mixmaster where has he been?